Happy, spoiled and living the good life. 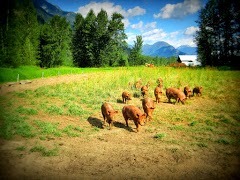 Pigs are rotationally grazed throughout the season, ensuring access to fresh pasture, better for the pigs and the soil. Life as a Rootdown Pig. 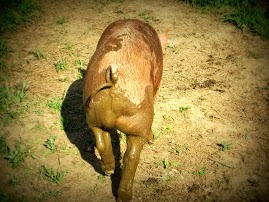 Muddy bum. 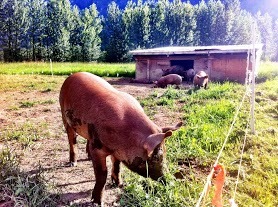 Keeping cool, the mud provides some protection from the Pemberton sunshine.